The Continental peloton here in the UK can often feel like something of a closed shop, with the same list of names circling between the same five or six teams, and only a handful of new additions each year. This season, though, there seems to be a whole crop of ‘newcomers’ to the peloton – between young riders moving up and riders returning from racing abroad, there are plenty of new faces to get to know. This is far from a comprehensive list, but I’ve picked out a few new names to highlight and introduce ahead of the racing season where they’ll definitely be ones to keep an eye on. Callum Mcleod at Canyon dhb’s pre-season get-together. Canyon dhb p/b Bloor Homes‘ youngest new recruit Callum Macleod may be a familiar figure to British cyclocross fans, but the first-year senior has yet to fully test his legs in the elite peloton on the road. Macleod’s most recent successes were earnt more in the mud than on the tarmac, bettering the likes of Daniel Tulett and Cameron Mason to win this season’s U23 National Cyclocross Trophy. This win is particularly impressive when you remember that at only 18, Macleod is very much at the youngest end of the under-23 bracket. Macleod seems keen to translate this CX success to the road, as he joins Canyon dhb with the prospect of a packed road calendar. Though only young, Macleod certainly isn’t lacking in road ability or experience, having ridden for Reading club Palmer Park Velo since he was three and raced for nearly as long. As a graduate of Zappi Racing, a well-respected team that gives young British riders the chance to race abroad, Macleod has plenty of experience of competing on the Continent, as well as some top-10s in big junior stage races. Canyon dhb is definitely an impressive line-up to be joining, but with Tim Elverson’s record of supporting younger riders, the team should be an ideal fit for Callum Macleod. Another very young addition to the Continental peloton is 18-year-old Joe Laverick [one of The British Continental’s U23 riders to watch], who has earned himself a ride with Madison Genesis. Having ridden with Belgian team Soenens Booom as a junior, Laverick already has a lot of experience racing abroad, in junior stage races and UCI events. This wealth of experience – including wins and top-10s, not just ‘getting round’ – is what sets the likes of Laverick and Macleod apart from their fellow juniors, and is certainly a big part of what has landed the pair spots on UCI teams in only their first year as seniors. As well as excelling in Europe, Laverick has showed his strength on the world stage, powering to 8th at the Junior Time Trial World Championships last September, even enjoying a period in the hot seat. This ride was certainly impressive and announced Laverick’s name to the cycling world, but that isn’t to say it was a surprise result. In fact, Laverick has been consistently one of the strongest junior time triallists on the British scene over the past two years, his successes including a silver medal at British Cycling’s junior national TT championships and national 10-mile TT champ – his fastest 10-mile time is only seconds off the junior national record. With such accolades under his belt, it’s hardly surprising that Laverick got the call from Madison Genesis, but the real challenge will begin when he makes what is undoubtedly a big step up. Not only will Laverick have to adapt to a very road race-focused calendar, but he will also be riding alongside some of the biggest names in the peloton such as Ian Bibby and Connor Swift. Like most first-year seniors, Joe Laverick’s 2019 will likely be focused on finding his place in the team and on the road – as well as finishing his A-Levels! Look out for Joe riding a team role in the National Series, and hopefully getting a few more CTT results in the senior category. My third and final first-year senior pick is another time trial specialist – Irish junior TT champ Ben Healy, who will be riding for Team Wiggins Le Col in 2019. Having grown up in Britain but of Irish heritage, Healy only recently began competing for Ireland on the international stage, a move that has served him well – his selection for September’s World Championships saw him bring home 14th and 25th in the junior TT and road race respectively, in rides GB may not have given him. Healy is also a Zappi alumnus, meaning he’s already well-versed in racing in Europe – perfect preparation for Wiggins’ U23 development programme. 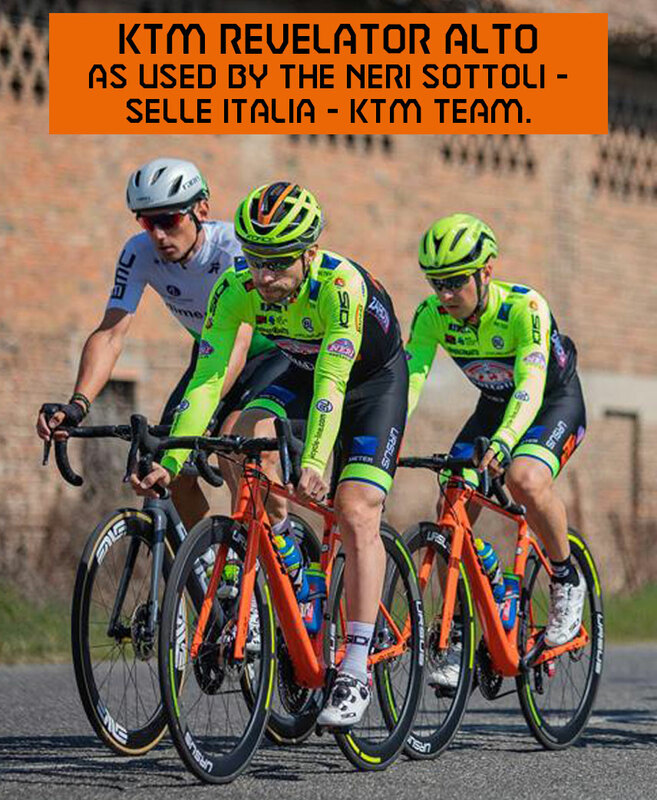 He is clearly a strong time triallist, and Healy has also shown himself to be a proficient climber, taking home the mountains jersey at the Giro di Basilicata and rubbing shoulders with riders known for their climbing ability. That said, at only 18, Healy has plenty of time to find his specialism as a rider, and hopefully Team Wiggins Le Col’s dedicated development squad will help foster his talent. In a significant reshuffling of their roster, Vitus Pro Cycling p/b Brother have brought in 11 new riders including 20-year-old Red Walters, who makes the leap from club level (Sotonia CC) up to a Continental team for 2019. Despite not racing for an Elite team, Walters committed full time to competing in 2018 and as a Cat 1 rider he was able to gain entry to several top-level races, including the Bristol GP and many of the most prestigious Nat Bs. Walters rode many of these events with few or no teammates, but this did not stop him being competitive – and clearly he caught the eye of Vitus team manager Cherie Pridham, known for her commitment to recruiting up-and-coming riders. His move to Vitus marks Walters’ debut season in the Continental peloton, but it is not his first brush with a UCI team: eagle-eyed fans may recognise Red from his appearance on short-lived TV competition The Coach, which aired in 2017. Broadcast on Bike Channel, the aim of the programme was to scout two cyclists who would then battle it out over several weeks in an attempt to win a place on the Bike Channel Canyon team. Ultimately, the show came to a premature conclusion, ending when the channel abruptly folded, but not before Red Walters was selected as one of the two finalists. Despite the demise of The Coach, Walters has now earned that UCI ride with Vitus. As an able track rider, we expect to see Walters’ skills put to use in short, fast races and criteriums under the adept leadership of Pridham. Jacob Hennessy is a well-known figure in the U23 world [and one The British Continental’s domestic riders to watch], particularly on the Asian circuits, but the average domestic cycling fan may know little more about Hennessy than his name. After starting his racing career with (what is now) Spirit Tifosi in 2015, a series of strong results including winning the Skipton GP saw Hennessy end 2016 as a stagiairefor John Herety’s JLT-Condor team, before joining 100% Me for 2017 – British Cycling’s road team. Riding with the national squad gave Hennessy the opportunity to ride the major British events such as the Tour de Yorkshire and the Tour of Britain, as well as an extensive European programme, but most importantly the team delivered the then-20-year-old to his biggest win to date – the U23 Gent-Wevelgem. This victory kicked off a strong season for Hennessy, which culminated in him earning a contract with Mitchelton-BikeExchange, U23 counterpart of WorldTour team Mitchelton-Scott and one of the most well-respected development teams on the circuit. Hennessy’s season with Mitchelton started in an impressive fashion at the Dubai Tour, when on the first stage he sprinted to an outstanding 6th place behind the likes of Dylan Groenewegen, Alexander Kristoff and Elia Viviani. Over the course of 2018, Hennessy marked himself out as a sprinter, targetting the Asian stage races where he picked up several top-10s but never quite found that win. As a final-year U23 rider, Hennessy knew he would be moving on from the Australian team for 2019 and in November it was announced that the 22-year-old would be heading back to a British team in the form of Canyon dhb p/b Bloor Homes. Though it’s a step away from a dedicated U23 team, Canyon DS Tim Elverson is not one to shy away from pushing his riders to develop and with the team expected to ride an extensive European calendar this season, the move back to the UK is far from a step down for Hennessy. As one of a handful of Canyon dhb riders with experience of racing abroad – alongside the likes of Jacob Vaughan and Dan Pearson – we expect that Jacob Hennessy will focus mainly on the European side of the team’s double programme, as well as the more major UK events. Though clearly a proficient sprinter, Hennessy is still very much honing his skills and it will be interesting to see how he develops as a rider in 2019 as the British fanbase becomes (re)acquainted with this up-and-coming talent. Watch out for an interview with Jacob Hennessy on The British Continental, coming very soon. Ribble Pro Cycling have stepped up to UCI level for 2019 and with that have kept a relatively ‘tried and tested’ roster, but one name that sticks out is Scott Auld, who will be returning to the UK after a 4-year stint racing abroad, first with Zappi Racing and more recently with French outfit VC Toucy. After riding for PH-MAS as a junior (the team now known for nurturing a young Tom Pidcock) Auld headed abroad to race for Zappi, something of a ‘third way’ when it comes to young riders’ development paths – opting to go abroad, often alone, rather than race for a UK team or pursue the British Cycling route. Despite some troubles with the team towards the end of 2018, Auld picked up some solid results in France and Belgium with VC Toucy, including 23rd against some major teams at Paris-Troyes (2.1) and wins in non-UCI events. With this experience of racing abroad, Auld should bring some European prowess to Ribble’s squad, and hopefully find some success along the way as he re-adapts to British racing. Unfortunately, the 22-year-old has been in the news for all the wrong reasons recently, left very injured after being struck by a van whilst out training in Spain, but hopefully Scott Auld will be on the road to recovery and racing soon. Despite some impressive wins, the final ‘new face’ is probably the most unfamiliar of them all, but perhaps one of the most likely to bag a big result this season. German University of Exeter student Freddie Scheske shot to prominence in early 2018 when he won a string of Nat Bs, topped off by sprinting to victory at the Winchester Criterium in June. Riding for his university cycling club and Team Tor 2000 KALAS, Scheske spent 2018 balancing racing with studying, finding that criteriums were where he was most successful. Thanks to his Elite racing licence, Scheske was able to secure rides in several Nat As, including the Bristol GP, 3 rounds of the National Circuit Series, and the Leicester Castle Classic, where he rubbed shoulders with the best to sprint to 10th. Scheske’s results sheet for 2018 looks impressive for any rider, let alone one riding for a lower-division team, so it’s no huge surprise to see him stepping up to Continental level with Vitus in 2019. Team manager Pridham has identified Scheske a lead-out man for sprinters Chris Latham and Ed Clancy, but he’s not to be written off as a potential winner himself, particularly in a peloton where real powerhouse sprinters are few and far between. As the season gets underway and we all turn our attention to the big favourites – Bibby, Swift, Pidcock – it’s worth scanning the startlists for a few of the names mentioned here, to see how these newcomers fare in the domestic peloton. Though these riders aren’t yet established stars, they’re all more than capable of some strong rides this season, and are definitely names to remember for the future. This piece was written by guest contributor Matilda Price. For more of her musings on the domestic racing scene, visit her excellent blog here.